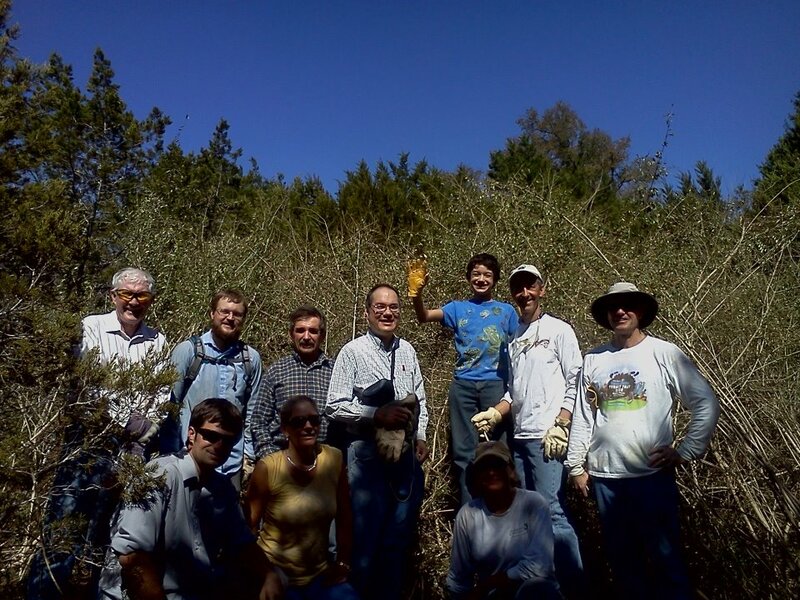 In October 2011, I had a chance to work with biologist Chis Warren and a group of Austin volunteers to help clear out Chinese Privet (Ligustrum sinense) from the Balcones Canyonland Preserve (BCP). I talked about our exploits last year in Titanic Struggle with Chinese Privet Ends with Their Doom. 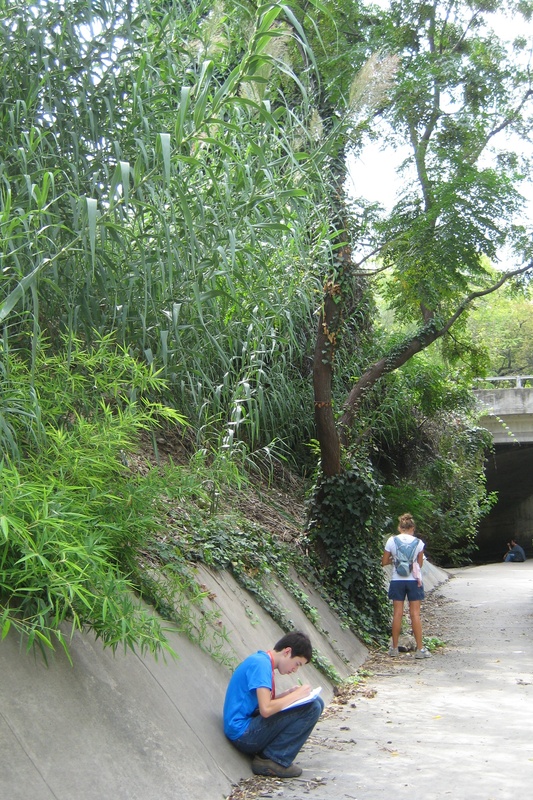 In August 2012, I returned to the Long Canyon portion of the BCP with volunteers from the Austin Invasive Species Corps to hunt down Chinese Privet plants that were attempting a comeback, such as from the stumps that we cut down earlier or from berries that were buried underground. It’s important to remove Chinese Privet and other invasive species from the BCP to help protect the native habitat of the endangered Golden-Cheeked Warbler. Commander Ben and biologist Chris Warren taking a break from battling Chinese Privet. Mr. Warren talked with me about the progress that they made since last year, and in the video from our August 2012 adventures, he describes the Chinese Privet’s distinguishing features. 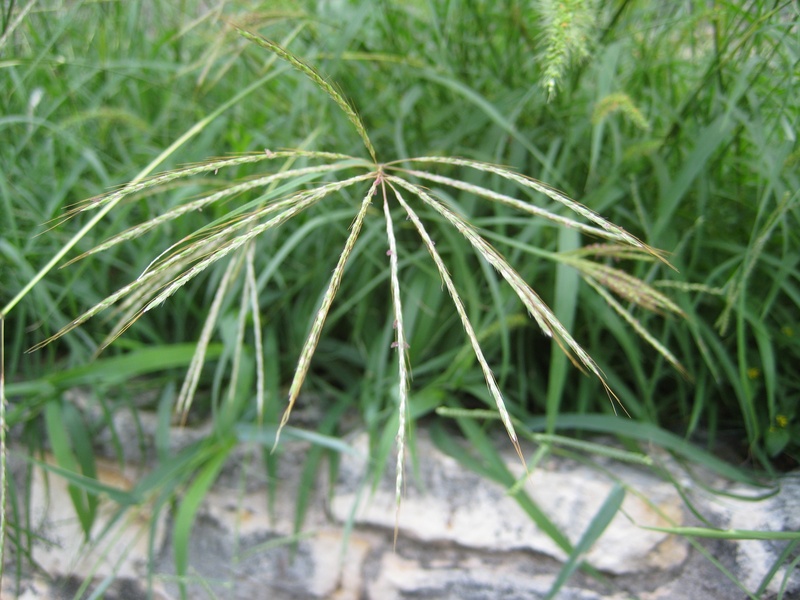 For example, did you know that in Central Texas, most invasive plants have leaves and branches that are strongly opposite from each other, and many native plants have alternating leaves and branches? Cut stump of Chinese Privet, an invasive species on the Balcones Canyonland Preserve. 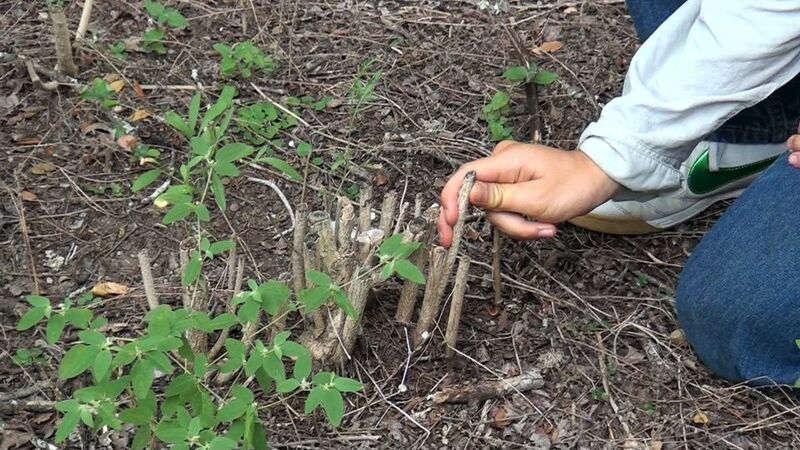 In the video, you’ll also learn why invasive species have a built in advantage over natives, such as cheap, quick growth and the lack of natural predators. 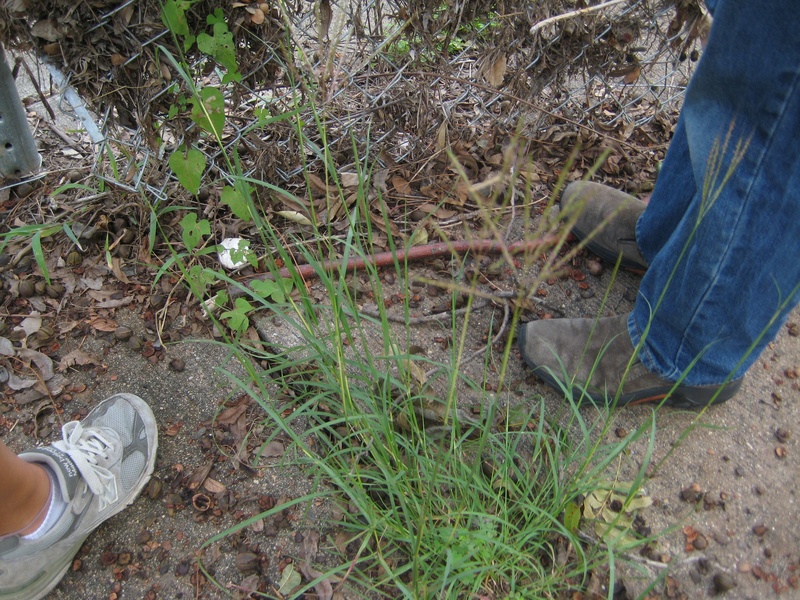 Would you like the enjoyment…ah…satisfaction of protecting your native ecosystem and pulling an invasive plant out of the ground with a weed wrench or other nature defense weapon of your choice? 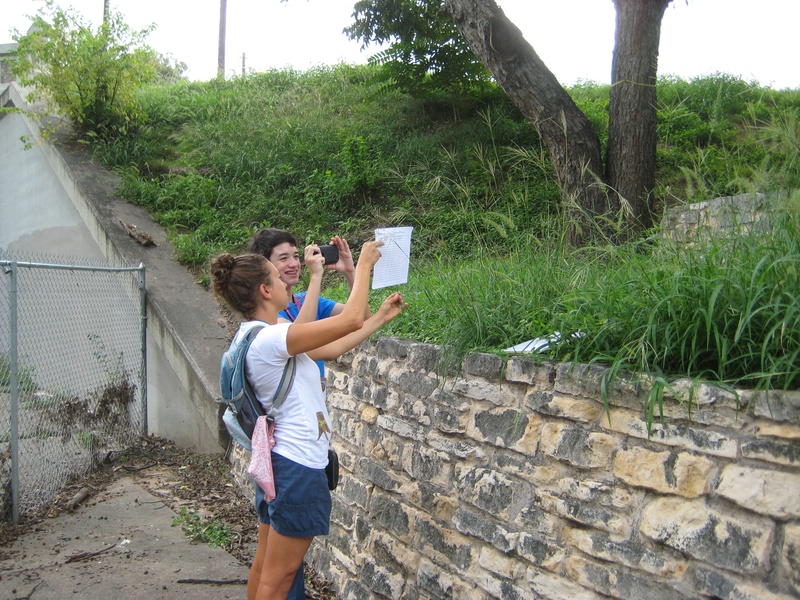 On Saturday, September 29th, join Austin Wildlands and the Austin Parks Foundation to help clear invasive species from the BCP and around Austin as part of National Public Lands Day. 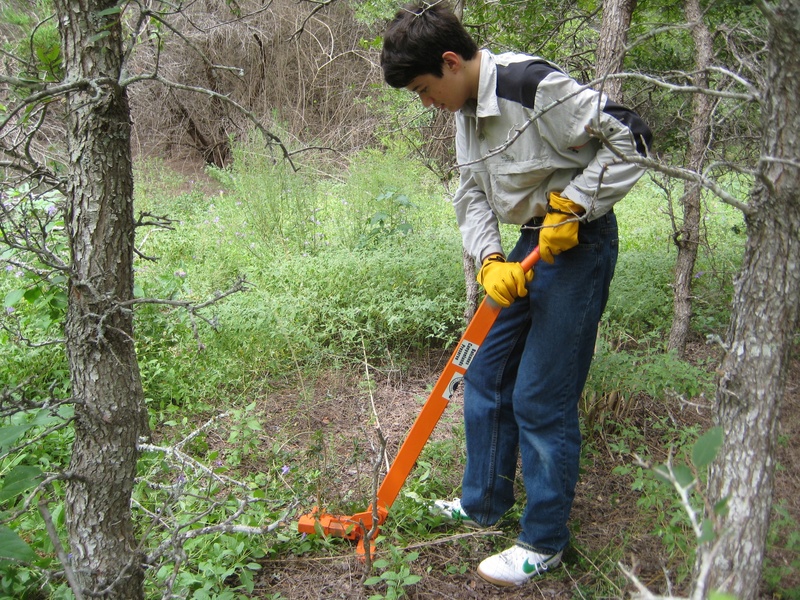 You can also help to restore Black-capped Vireo habitat in the BCP, help prairie seeding restoration on Water Quality Protection Lands in Northern Hays County, and many other great volunteer activities! Update: Because of heavy rain expected on September 29, the clean up for National Public Lands Day was postponed to October 6. Last weekend, I joined the Austin Invasive Species Corps to identify locations of Chinese Privet (Ligustrum sinense), an invasive species invading in the Long Canyon portion of the Balcones Canyonland Preserve (BCP). 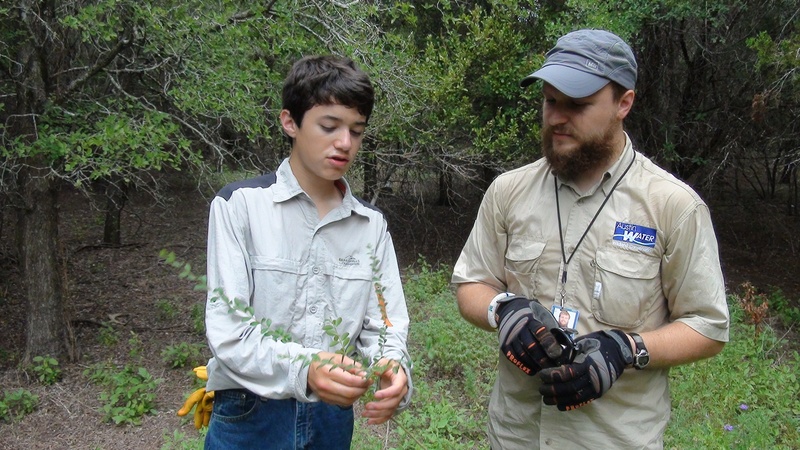 Commander Ben and Biologist Chris Warren examine a small Chinese Privet. Pulling up Chinese Privet with a weed wrench. We used special weed wrenches to hand pull as much Chinese Privet as we could find. 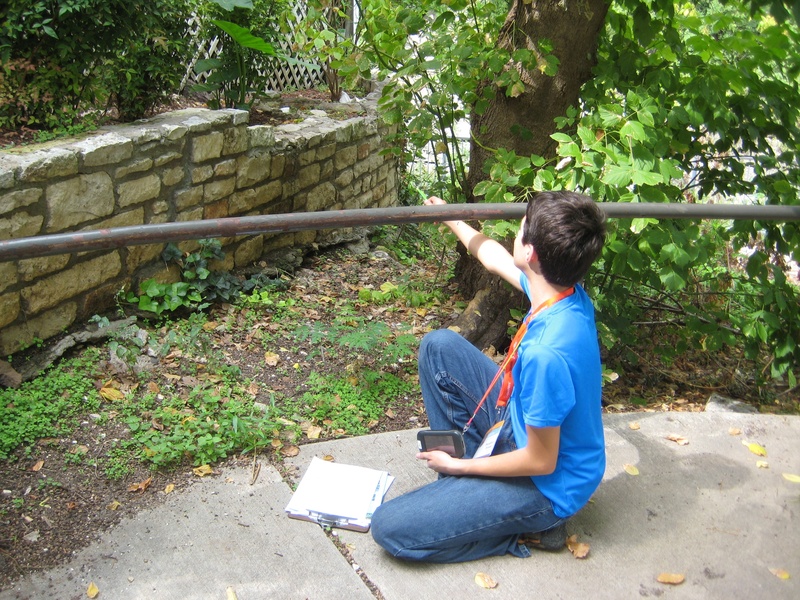 These heavy tools help to pull up the plant, roots and all, otherwise it could grow back from a stump. It was a fun day filled with hunting invasives, hard work, and listening also to some wonderful presentations from many different people who are experts in the field of invasive species. How to tell them apart: The Yaupon has a tooth edge leaf instead of smooth edge leaf like the Chinese privet. Unfortunately, Chinese Privet invaded the lower area of Long Canyon where it crowded out the native plants to create a monoculture. Seeds from “Godzilla” sized Chinese Privet that were planted in the landscapes of homes up on a ridge, washed downhill, grew, and quickly multiplied. This process happens over and over again when it rains and when birds carry the seed berries too. In Asia, Chinese Privet’s native home, it stays in check because it has to contend with disease, parasites, and wildlife “eaters”. Here in the U.S., Chinese Privet is essentially free of predators, and this allows it to spread aggressively. Even our deer don’t like to eat it! 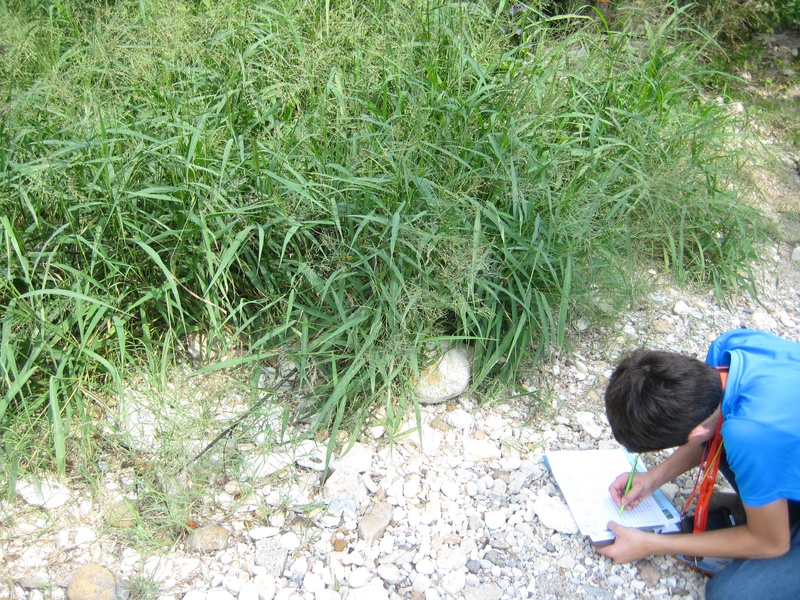 They prefer our native Texas plants instead. 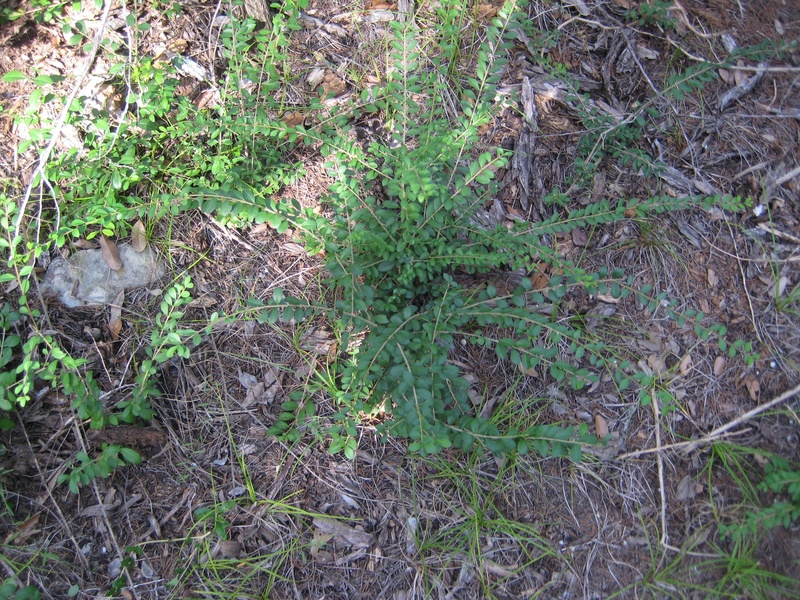 As a non-native and pioneer species, this invasive plant can grow and spread quickly. So why is it a problem if Chinese Privet establishes a monoculture in our area? 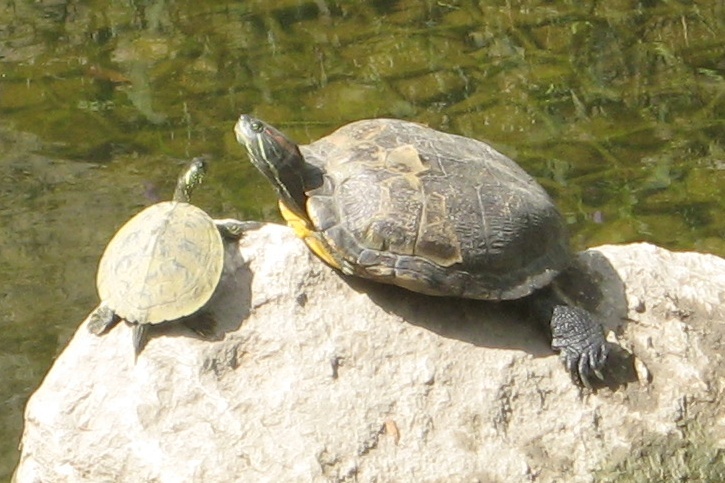 Well, it all has to do with water and the cute…and endangered…Golden-Cheeked Warbler. The Golden-Cheeked Warbler, is a native bird and it uses the bark of the Ashe Juniper (Cedar) tree to make its nests. These birds eat the larva of moths and butterflies that live on the Texas Live Oak trees. 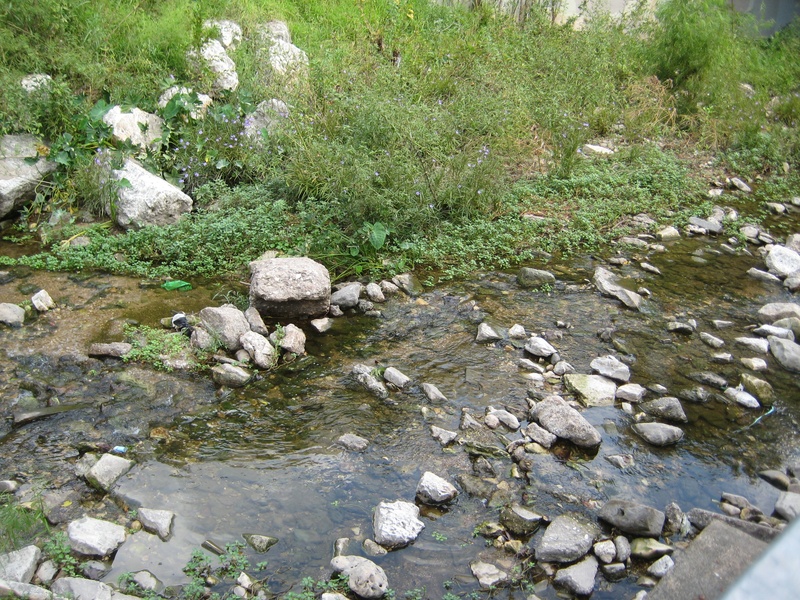 Unfortunately, the Chinese Privet hogs the water and crowds out the the Cedars and the Oaks, and this eliminates the habitat and food for the Warbler. This is especially troubling because the Golden-Cheeked Warbler is the only bird species with a breeding range confined to Texas from Palo Pinto County southwestward along the eastern and southern edge of the Edwards Plateau to Kinney County. 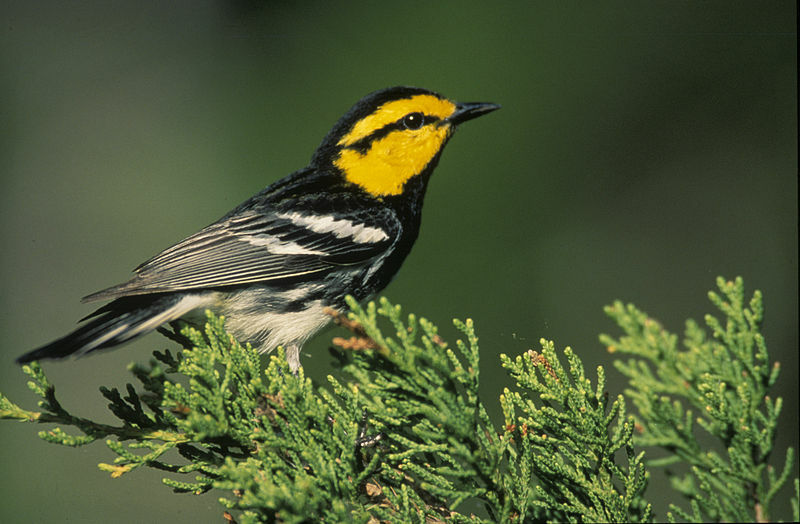 The Balcones Canyonland Preserve is part of the Warblers’ habitat. 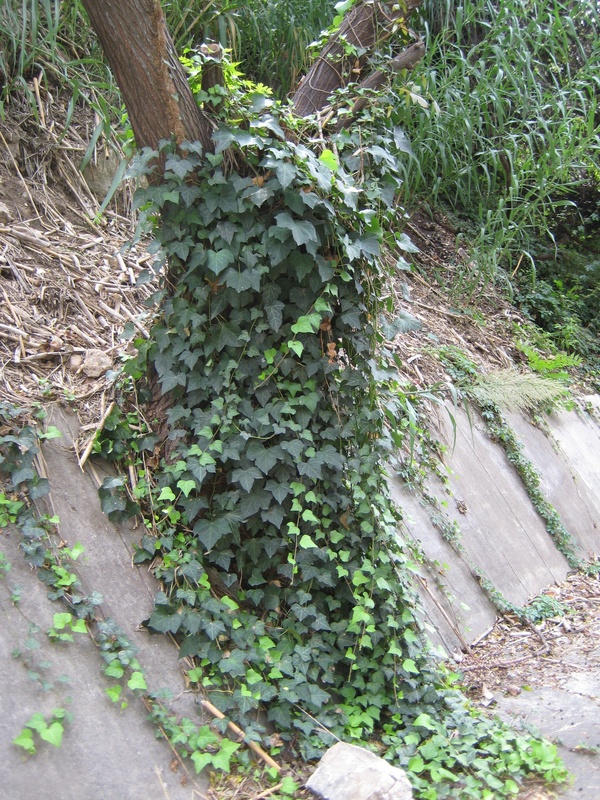 By clearing the Chinese Privet, we hope to create more habitat and food for the Golden-Cheeked Warbler. This is your chance to be an Invasive Hunter in action to battle against invasive species and help save the Golden-Cheeked Warbler! Many thanks to Ms. Louise Liller, volunteer coordinator for the Austin Water Utility’s Wildland Conservation Division; Mr. Chris Warren; Austin biologists Mr. Darrell Hutchinson and Mr. Matt McCaw; and the valiant voluteers of the Austin Invasive Species Corp for hosting this event and making a difference for our endangered songbird and our native ecosystem. This Christmas Carol tale begins on Christmas Eve with Ebenezer Scrooge, a man with a stingy heart, a disdain of native plants, and a phobia of dirty feet. His former business partner, Jacob Marley warns Scrooge of visits by three spirits. Overnight, the ghosts lead Scrooge through his innocent past, misguided present, and possible dire future overrun by invasive species. They help to transform him into a man of joy and compassion, both with the family of his impoverished clerk, Bob Cratchit, and his diverse ecosystem. Who Will Fell This Titan? 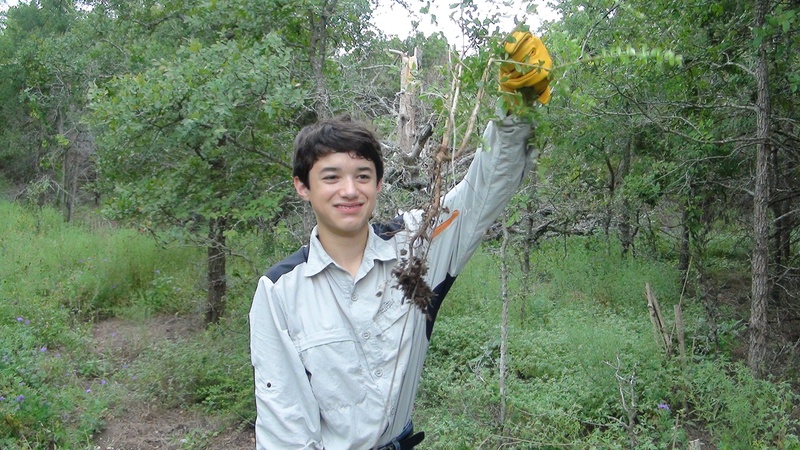 I had a great time clearing invasives and rescuing native plants with a wonderful group of volunteers this weekend in the Long Canyon section of the Balcones Canyonland Preserve (BCP) in Travis County. 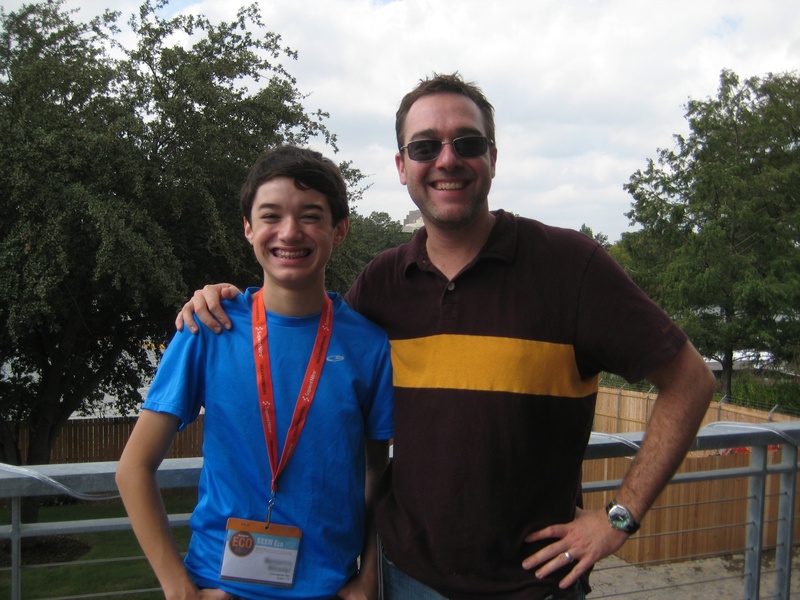 My thanks to Chris Warren, a biologist with the BCP, and for other volunteers for teaching us all about the native plants in our Central Texas area, as well as the nefarious invasives that are crowding them out. Chinese Privet, Ligustrum sinense, was our main villain, and there were many to be seen. We cleared out a bunch and made room for native plants, including Ashe junipers, which provide essential habitat for the endangered Golden-cheeked Warbler. 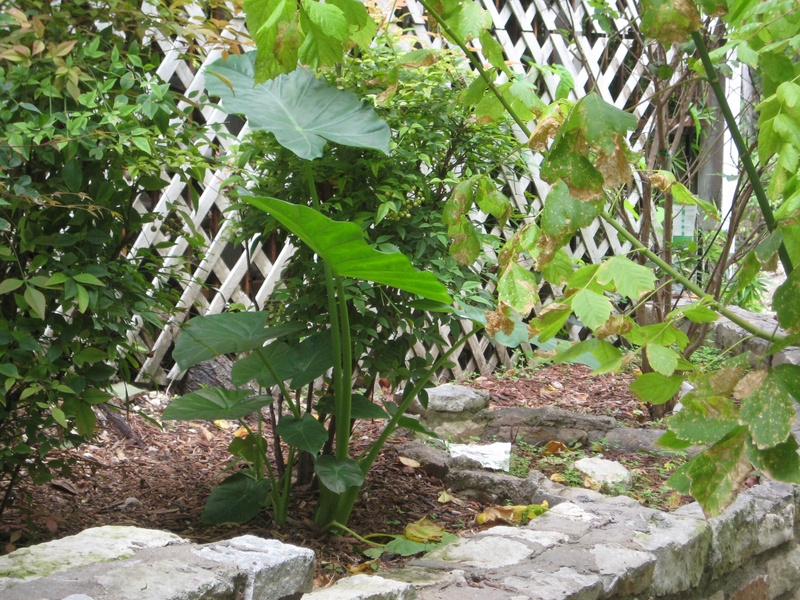 We saved many native plants, especially a small, but growing, tree as you saw in the video above. This is Commander Ben, signing off.